Grand Forks Photo Gallery-catfish,walleye,northern pike, etc. 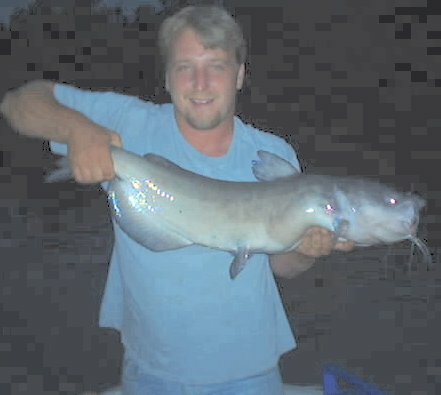 Darrin-on his first trip catfishing, lands a 15+ just 5 minutes after we anchored! 4 lb 8 oz walleye....again cutbait...same evening..